Love the bay? Love to fish, boat, jet ski or lounge in a pool? Then this bayfront studio condo may be just what you are looking for! 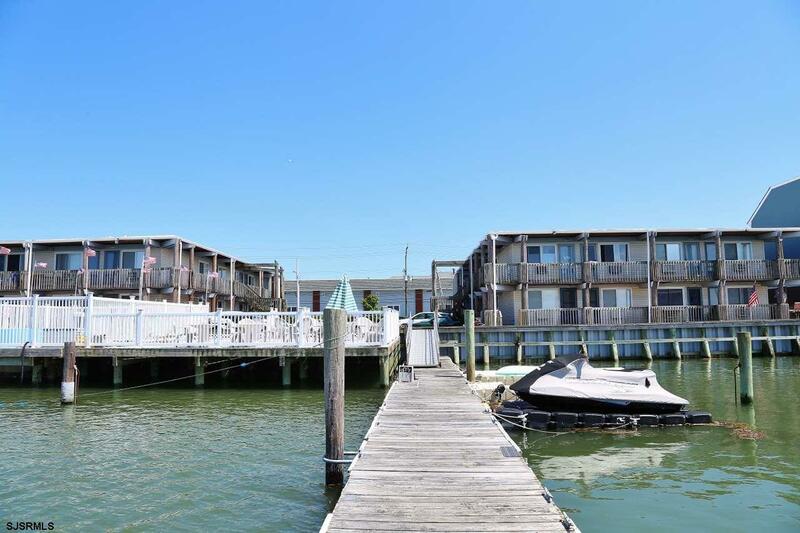 Live simply yet fully by the bay, and take advantage of the dock and boatslip access and also enjoy relaxing bayside on the large public deck and pool. Fresh salt air breezes and beautiful bay & sunset views are yours from this condo entry and along the walkway. Also... the beach is just a few blocks walking distance away! Cute Island style studio features a kitchen and full bathroom. Sleeps 4 and recently painted and renovated so move in kitchen and ready for you to enjoy the 2018 season in beautiful Brigantine! Listing provided courtesy of Re/Max Coastal.